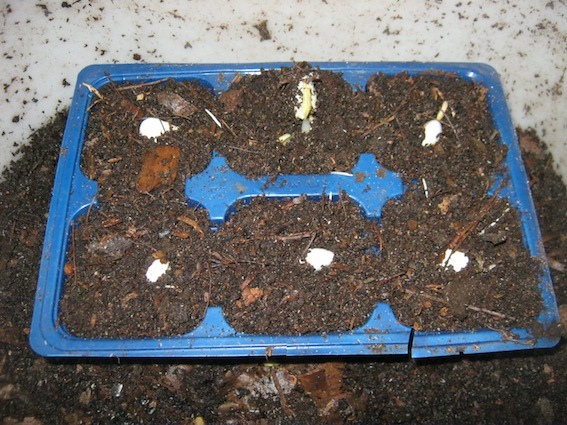 Germinating seeds in a worm farm is an excellent way to give plants a good start. Not all but many plants like to germinate in a dark, moist and warm environment. There are many ways that people use to attempt to get seeds to grow. Some methods with more others with less desirable results. As a passionate gardener, focussing mainly on food gardens I have always tried to grow plants from seeds as it is as far as I know the cheapest way to grow one's own fruit and vegetables. Over the years I learned a lot of the basics to be successful in germinating seeds. 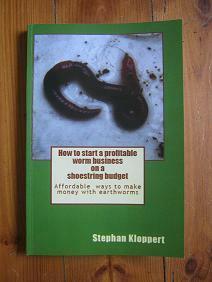 If you want grow your own plants from seeds you will firstly need good seeds. You can either get them from your grocery store around the corner, a nursery or even better a specialized seed dealer. You can try all you want but when you are given a packet of seeds that is past their prime or has been treated with some chemicals it might stay dormant for ever and you will not succeed in turning it into a plant. Another thing to consider is the treatment that different kinds of seeds need in order to successfully sprout. These vary a lot and in most cases your supplier might just have written the standard advice on their packaging without the special set of rules that might make the attempt to germinating those particular seeds you purchased that much more likely. Some seeds like certain raspberry varieties for example need to go through a process of stratification in order to germinate. If you don't cool them down as low as at least 7 degrees Celsius / 44.6 Fahrenheit for several weeks they will never germinate. Many other seeds like to be thrown in jug with hot or cold water for a day to improve and speed up germination rate. So it's really a good idea to do some research online about the preferences of the kind of seeds that you would like to plant before you take action. My favorite way germinating seeds that I want to grow in my food garden is placing them with planting trays into worm bins. 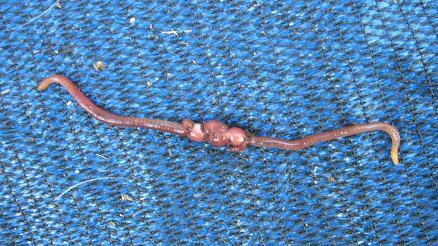 Worm bins are a great place for seeds to sprout. 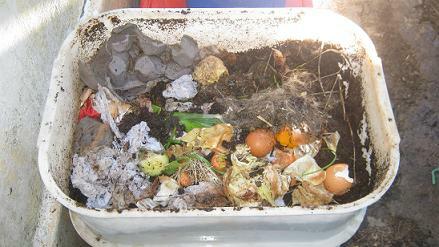 The environment inside a good working worm farm is dark and humid The temperatures are quite stable and apart from worms there are lots of other small creatures and billions of bacteria and other beneficial microorganisms that constantly enrich the growing medium conditions inside the bin. 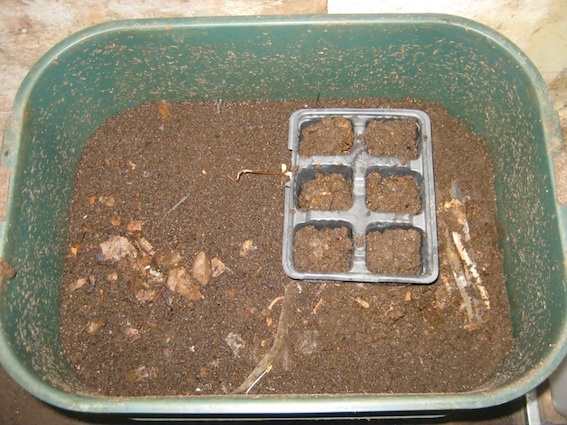 Before I place a planting tray inside a worm bin I fill it with a growing medium that is suggested for the particular seeds that I want to propagate. Many of the fruit and vegetable plants that I want to grow like a growing medium that is rich in organic matter and drains well. There are many soil mixtures that can be used to give the seeds a good chance to sprout. 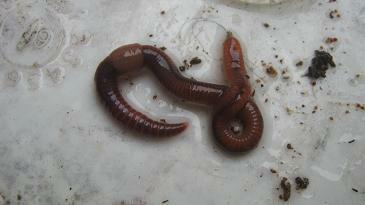 One of my prefered medium is a mix of good compost a little sand, and some fresh worm castings. I fill each tray up till it is about three quarters full, then I add one or two worms from the worm bin I will place the seed trays in and top them up with fresh castings from the worm bin. When the trays is prepared for the seeds I press a small hole in the middle of each tray, according to the recommended depth and carefully place a seed into each of the holes. 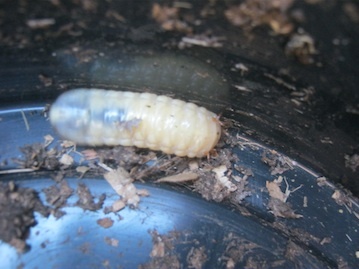 Finally I cover the seed with the right amount of worm castings, put it into the worm bin and close the lid. Green bean seedlings after 5 days inside a worm bin. Green bean seedlings after 6 days inside a worm bin. I check the suggested germination time on the packet of the seed they came in and place a sticker with the planting date and the kind of seed onto the outside of the bin. Depending on the expected time it might take the seeds to sprout I wait 3 to 5 days before I make my daily progress checks in the bins. When I notice that the first seeds have germinated I remove the tray by the following day at the latest and put it in a place that is light but partially shaded during most of the day. This gives the young plants a chance to get hardened and adapt to the living conditions outside. 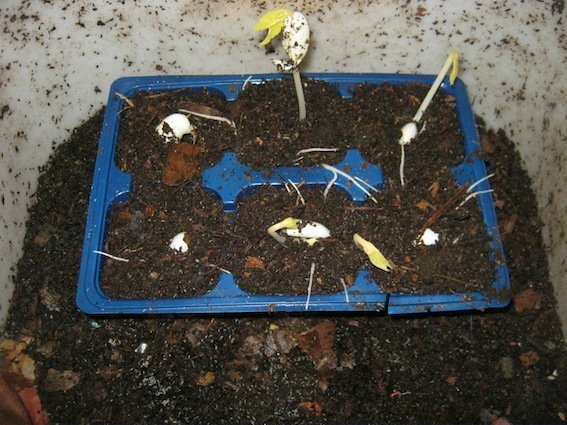 It is important to remove the seed trays soon after germination started. They grow very fast. I experienced many kinds of seeds that germinated much quicker than suggested on the packet. If one misses the time when the seeds are germinating by just a few days the young plants that need sunlight once they sprouted will continue to grow longer and longer stalks inside the bin until they are removed from the worm bin at which point the stalks might not be able anymore to stand up straight and support the weight of the leaves and the seedlings might not make it through the next few days. 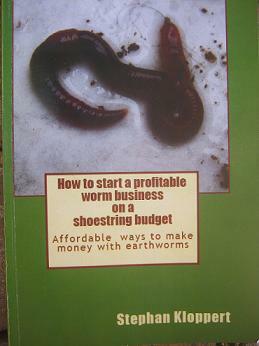 Apart from that possible problem I believe germinating seeds in a worm bin is a near perfect solution to start nearly any plant that likes to grow in a rich organic soil.